It’s part of a new wave of demonstrations and organizing drives linking workers’ rights and civil rights. The fight is on against the Trump agenda in places where it matters most—in towns like Canton, Mississippi, population 13,189. So that is where Bernie Sanders will be headed on Saturday. He’ll be joining local autoworkers, actor Danny Glover, and NAACP President Cornell William Brooks in the “March on Mississippi,” which seeks to highlight abuses of worker rights and civil rights at the local Nissan Motor Company vehicle assembly facility. Organizers of the march expect it to be one of the largest Mississippi has seen in years. The mission is an urgent one, as it will highlight unsafe working conditions and mistreatment of workers at the plant where roughly 80 percent of the 5,000 workers are African-Americans. The march will call on Nissan to stop resisting union organizing efforts and allow a free and fair vote on whether workers can exercise their right to organize and collectively bargain. Organized by the Mississippi Alliance for Fairness at Nissan (MAFFAN), a coalition of civil-rights leaders, clergy and labor activists, the march is being backed by the new national Good Jobs Defenders coalition, which includes the Change to Win, the Communications Workers of America and National Nurses United unions, Bend the Arc Jewish Action, Patriotic Millionaires, CREDO, and the Our Revolution movement that grew out of the Sanders campaign. 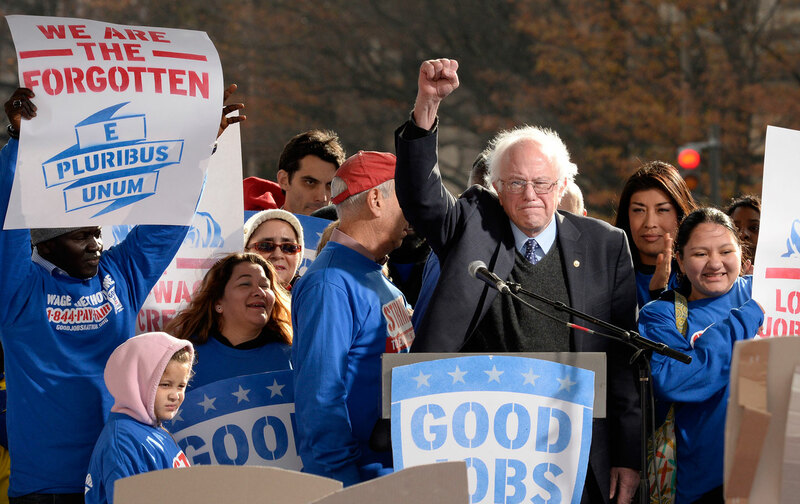 It is also time, says Sanders, to stand with Southern workers as they struggle for their rights. “What the workers at the Nissan plant in Mississippi are doing is a courageous and enormously important effort to improve their lives,” says the senator, who joined union picket lines as a presidential candidate and who has kept on marching since the election.